In the early afternoon of June 8, 1968, following a funeral mass in New York's St. Patrick's Cathedral, the Kennedy family and several hundred guests boarded a 21-car train at Penn Station to take the body of Robert F. Kennedy to Washington to bury him next to his brother, John. The trip, scheduled for four hours, ended up taking eight, as tens of thousands of people crammed the route in a scene reminiscent of Abraham Lincoln's funeral train a century earlier. 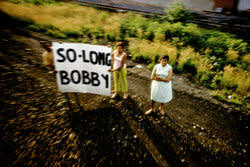 Images of the disparate mourners were captured by Magnum photographer Paul Fusco, a journalist on the train. "When the train at first came out of the tunnels," he recalls, "the first thing I saw was hundreds of people in mourning...it was like an explosion. I jumped out of my chair and pulled the window down and just started automatically photographing." Fusco estimates he shot over a thousand frames that afternoon and evening. 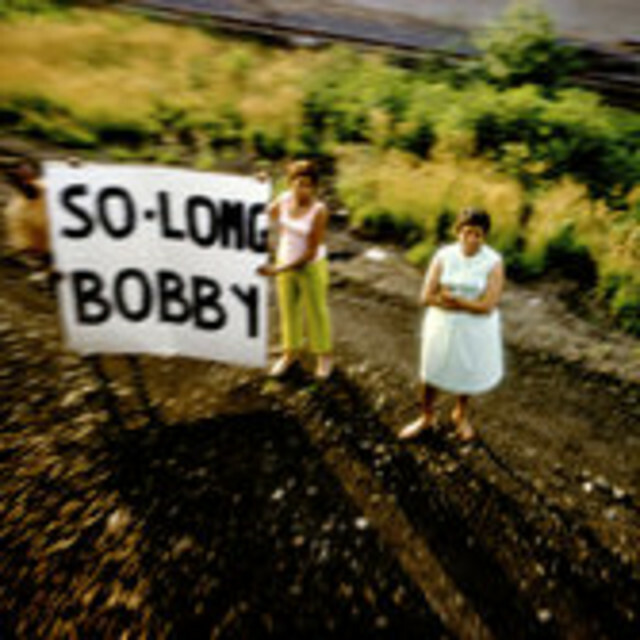 Many of the photos were included in his book "RFK Funeral Train" and are the foundation for this film, which also includes video footage of the journey, the funeral that preceded it, and the latenight Arlington Cemetary burial that followed it. 'One Thousand Pictures: R.F.K. 's Last Journey' also features reflections from Frank Mankiewicz, RFK's Press Secretary who was also on the train. Most poignantly, dozens of people whose images were captured by Fusco are interviewed, 43 years later.